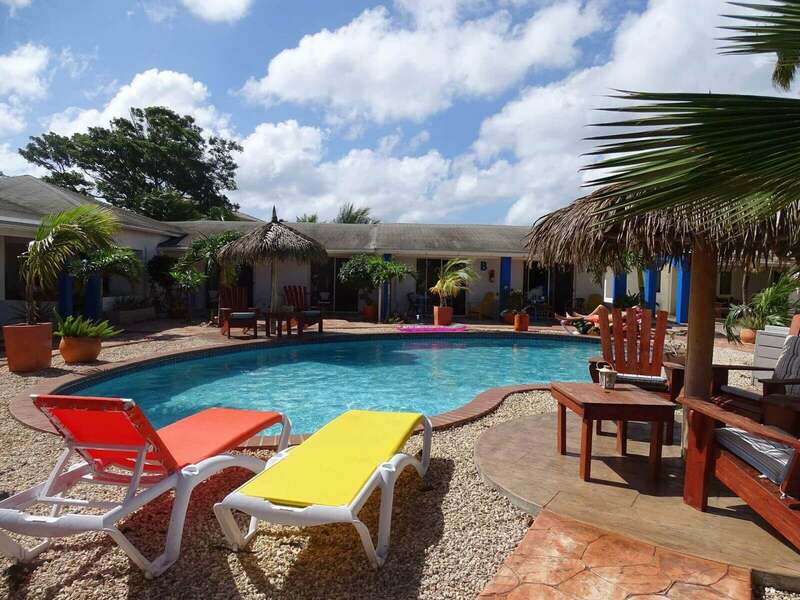 The Hacienda Wayaca Apartment complex is comprised of 8 one bedroom apartments and one 3 bedroom house. 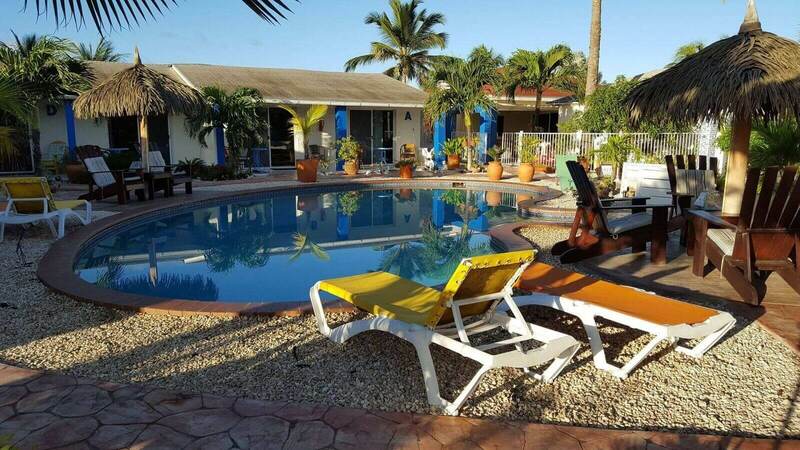 All apartments have a bedroom with air conditioning, shower / toilet, living room with kitchen, TV and a porch overlooking the pool facilities. 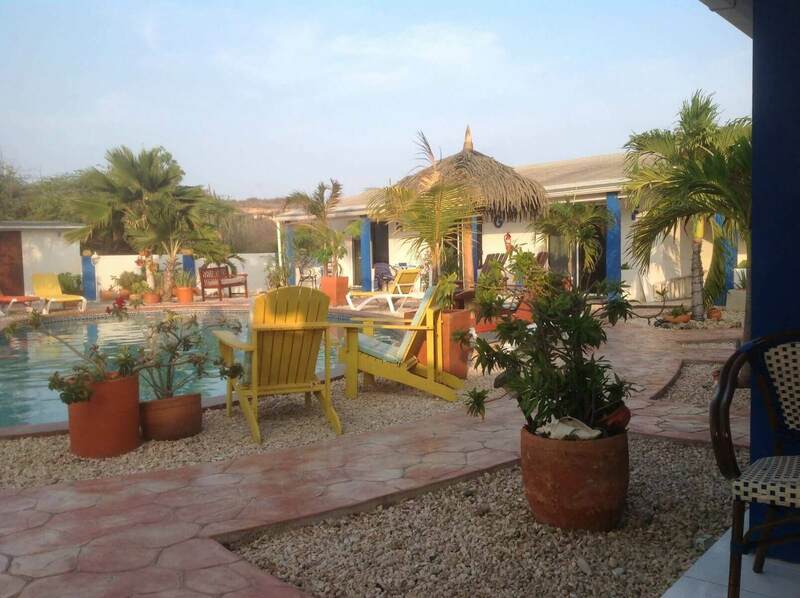 The apartments are fully equipped for 2 persons. The complex has complimentary WiFi available. 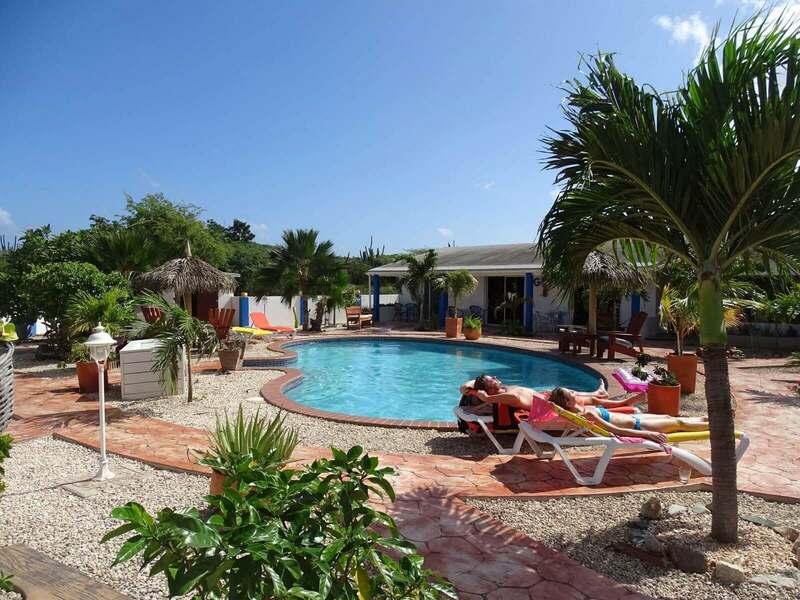 The beautiful garden is relaxed and quiet, has a spacious pool, sun loungers and chairs. The apartment complex also has a BBQ for general use, and coin operated laundry facilities. Parking facilities are available for all tenants.